A rarity has occurred. I saw three films in the past month... in a theater! It's the most I've gone to the movies in such a short period of time since my kids were born. I was pleased with the results. I mean, hey, in the summer season, two out of three ain't bad, kid. The end is finally here. 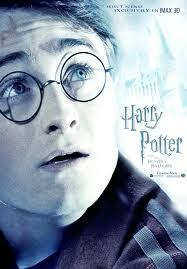 After 10 years of entertaining us on the big screen, the Hogwarts crew says goodbye. In this deliriously satisfying finale, Harry Potter and the Deathly Hallows, Part Two (2011), we watch Harry, Hermione, Ron and their loyal band of muggles and wizards defeat the evil Voldemort. After years of teasing and tormenting our heroes, Ralph Fiennes is front and center here, bringing his usual intensity and despair to good use. Fiennes played many fantastic villains in his career (Harry in In Bruges is a personal favorite), and his Voldemort is a creepy, angry monster. Fiennes does masterful work making him frighteningly real. Alan Rickman also does great work here as the enigmatic Severus Snape, whose deliciously tragic backstory is fleshed out in this final chapter. 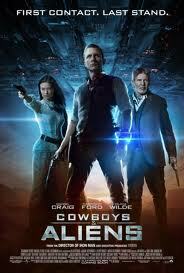 When you see a movie called Cowboys & Aliens (2011), it sounds like it should be fun, right? Cowboys! Aliens! Spurs and spaceships! The old west meets extraterrestrials! So riddle me this: why was this movie lifeless? Where was the fun? The spark? The excitement? Leave it to unknown director Rupert Wyatt to deliver us a thrilling popcorn adventure at half the budget of Cowboys & Aliens. 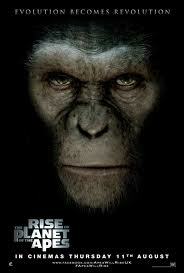 Rise of the Planet of the Apes (2011) is the most fun I have had in a theater all year. You don't have to be a fan of the Planet of the Apes franchise (I'm not) to appreciate what they've done here. A strong origin story is the blueprint of this compelling drama; we follow the birth and growth of Caesar, an ape with superior and uncanny intelligence. His scenes with James Franco and John Lithgow are funny and touching; we've grown attached to Caesar, making the climax of the film deeply involving and breathtaking. Really?!? You really finally got some time to yourself & you spent it seeing "Cowboys & Aliens" & "Planet of the Apes"?!?! I actually really excited to see "Cowboys & Aliens" for a long, long time only to be let down by it, and "Planet of the Apes" seriously just flew under my radar. When I heard the good buzz, I had to see for myself. It's summer, Jenn -- not many options for the more serious fare! That said, I did miss the opportunity to stare at Ryan Gosling's abs this month. Ah, there's always Netflix!